A LEGENDARY GREEK DISPLAY FROM GB EQUESTRIAN SQUAD! August 2011 – Athens – This summer’s Special Olympics World Summer Games Athens was the biggest multi-sports event in Greece since 2004’s Olympic Games and the largest in the world this year with 180 countries represented and 7000 learning disabled athletes participating. The GB team won an incredible 187 medals across 17 sports and achieved a host of personal bests. Amid the economic and political chaos in the Greek capital, the GB team competed 20 minutes away from the riots against not only international competitors, but also the heat, exhaustion, homesickness and other kinds of sickness. The start of the 13th Games was unlucky for some GB athletes: two dozen of the 157 athletes were struck down by a debilitating stomach bug which affected their performances and for some even prevented them from competing. A basketball player was hospitalized with appendicitis and a cyclist was led off the track following a mid-race crash. Others had typical minor sports injuries. Holding true to the Olympic ideals of goodwill, sportsmanship and honest effort, Special Olympics GB’s 157 learning disabled athletes headed into competition with a genuine passion and sense of national pride. The Equestrian Team struck gold in dressage on day two of competition with Zahra Kazmi, 26, of Dundee trotting to victory in style. Zahra is currently studying catering at Dundee College and has been involved with Special Olympics since 2005. 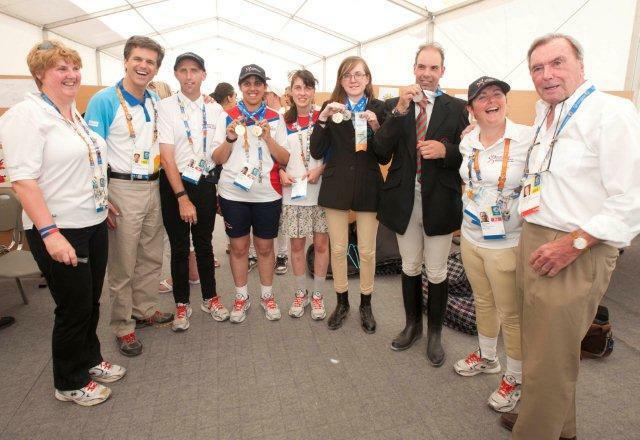 Unlike the Olympics and Paralympics, Special Olympics riders do not travel with their horses – which proves to be a true test of their horsemanship. The Games provided 60 horses from Bulgaria and the rest from Greece. 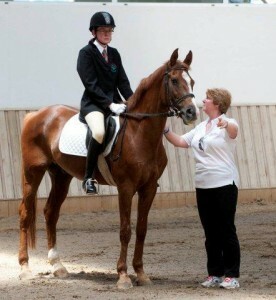 GB rider Zahra Kazmi is only 5’5” and won her gold on a massive 17.1 HH horse. Christine Durrance, 23, from Melton Mowbray, trotted to Gold in the dressage the following day on her allocated horse Gigant. 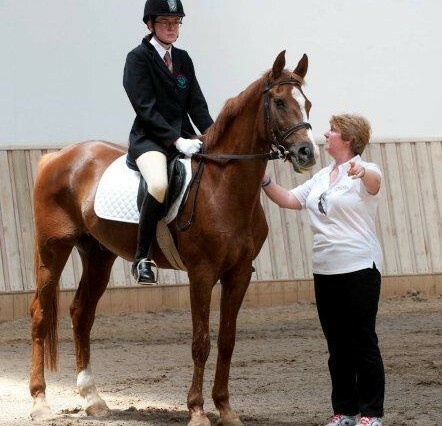 According to GB Equestrian Head Coach, Nancy Peters of Glasgow, “On the first day of competition Christina missed a Bronze medal by half a point. But she came back today and rode beautifully. She won Gold by 10 clear marks, which was huge!” Christina has been involved in Special Olympics for the past decade and works as a volunteer with the RDA (Riding for the Disabled). Owen Keeble of Stirling also earned a gold medal in dressage with an outstanding display of control and discipline. The affable Owen, 36, works as a gardener at Stirling University and his success comes after joining Special Olympics Great Britain just two years ago. On day four of competition, Zahra Kazmi picked up another gold medal, this time in the English Equitation event. Teammate Owen Keeble of Stirling got his second medal in two days with a superb display, clinching a silver to hang next to his gold in dressage. Ellis Wilson of Dunlop faced tough competition in the highest level division, missing the medals podium despite her great performances in all events. Stephen Barry of Peterborough was delighted to join his teammates on the podium the following day with a silver medal in Working Trails.